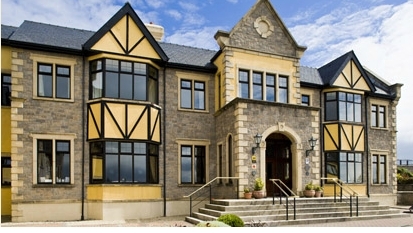 Guest Rooms: Knockranny House Hotel & Spa, Westport, County Mayo, offers luxury four star hotel accommodation with 97 rooms that are spacious and bright, and feature elegant furnishings and superb facilities throughout. 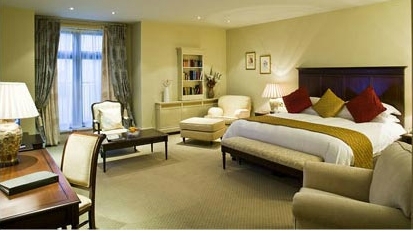 Warm colour schemes give rise to a peaceful environment, thereby providing for guests a wonderful haven of warmth, calm and relaxation in this four star Westport Hotel. 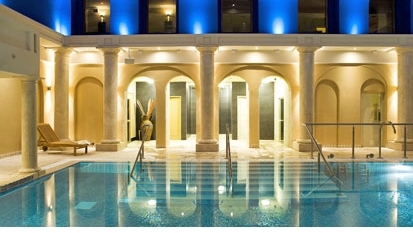 Recently expanded, Knockranny also encompasses 13 luxurious suites including a magnificent Presidential Suite, a Penthouse Suite and a number of beautiful Master Suites and Courtyard Suites - all of which are incredibly spacious and are designed and finished to the highest international standards. 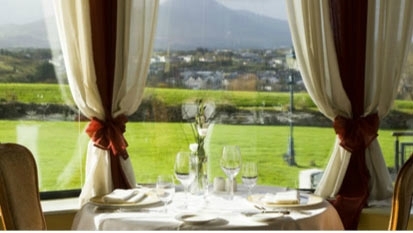 Restaurants: La Fougère Restaurant at Knockranny is renowned for fine dining and the superb quality of its cuisine and wine list. Following on from its National title of 'Best Hotel Restaurant in Ireland 2010' at the prestigious Irish Restaurant awards and having received Two AA Rosettes for culinary excellence 2011, La Fougère is celebrating again,having been awarded as the 'Best Restaurant in Connaught 2011’ at the FOOD&WINE Magazine Awards 2011. While Head Chef Seamus Commons was recognised as the ‘Best Chef in Connaught’ at the same awards. 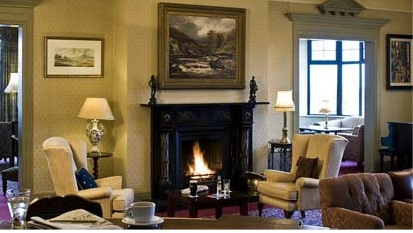 With table d'hôte, à la carte and tasting menus to choose from, Knockranny House Hotel & Spa’s team of chefs headed by Mr. Seamus Commons and including the 'Eurotoques Best Young Chef in Ireland 2012'- Kamil Dubanik place high emphasis on fresh seafood and the finest local ingredients. La Fougère also hosts regular themed events throughout the year including a Seafood & Shellfish Weekend, Gourmet Game Weekend and a Vegetarian Weekend, Head Chef Seamus Commons has been widely recognised for his outstanding talent having been awarded the title of ‘Best Chef in Connaught’ by by FOOD & WINE Magazine 2011 & The Restaurant Association of Ireland 2010 .